Traveling is always rough on your wallet. Here are a few tips to help increase your miles per gallon and help lighten the cost of your next trip. Ditch the extra weight. Take all unnecessary items out of your car. The lighter you can keep your vehicle, the more MPGs you will see on the road. If you have a luggage or a bicycle rack on top of your vehicle, remove it if you do not plan to use it. The rack will add additional aerodynamic drag to your vehicle, which will decrease your MPG. Use the right grade of oil for your vehicle. If you accidentally use an oil with a higher viscosity than your manufacturer’s recommended oil, then your engine will have to work harder to push through the oil, which will decrease your MPG. Purchase oil that is rated as Energy Conserving. This will help your engine conserve energy and increase MPG. Check your air filter and add fuel filter cleaner to your gas tank. 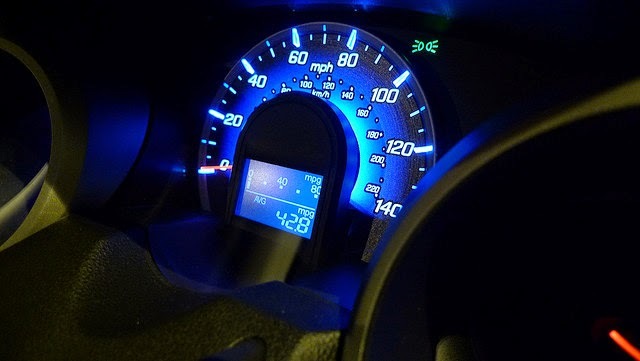 Clean air and fuel filters are a big key to your MPG success. Drive conservatively. The greatest deterrent to great gas mileage is your right foot. If you accelerate quickly, or push your vehicle to the limit, your MPG will tank and you will find yourself at the pump sooner rather than later. Jiffy Lube of Indiana is here to help you get the most out of your MPG on the road this season. Just bring your vehicle in to your nearest location and one of our certified technicians will take care of your vehicle with the preventative maintenance it needs to reach the MPG you need.